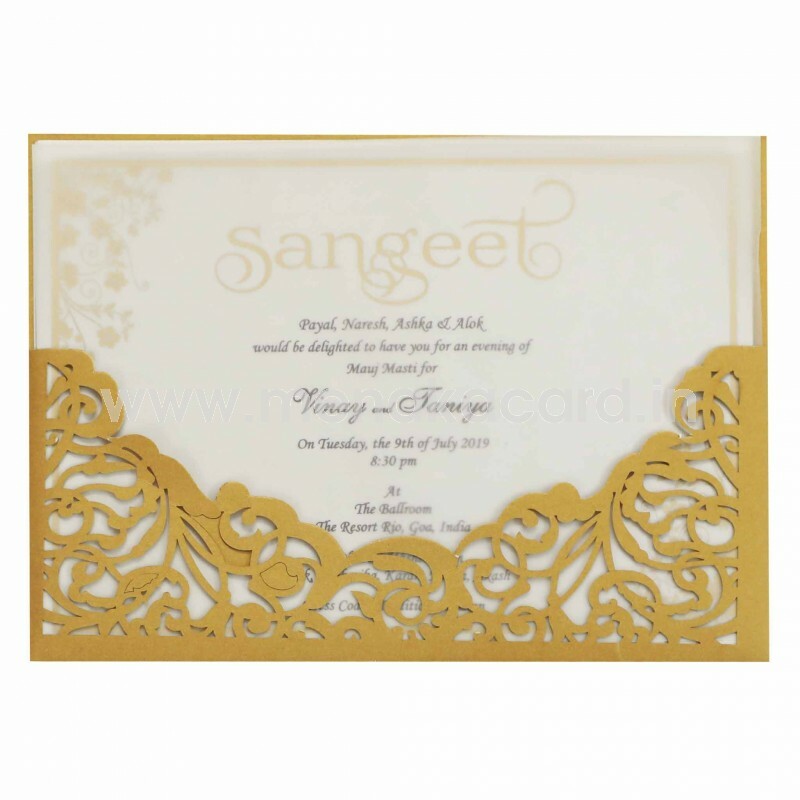 This Refined dark cream card with graceful laser-cut rosette patterns on the front of the pouch, made on from a shimmer board. 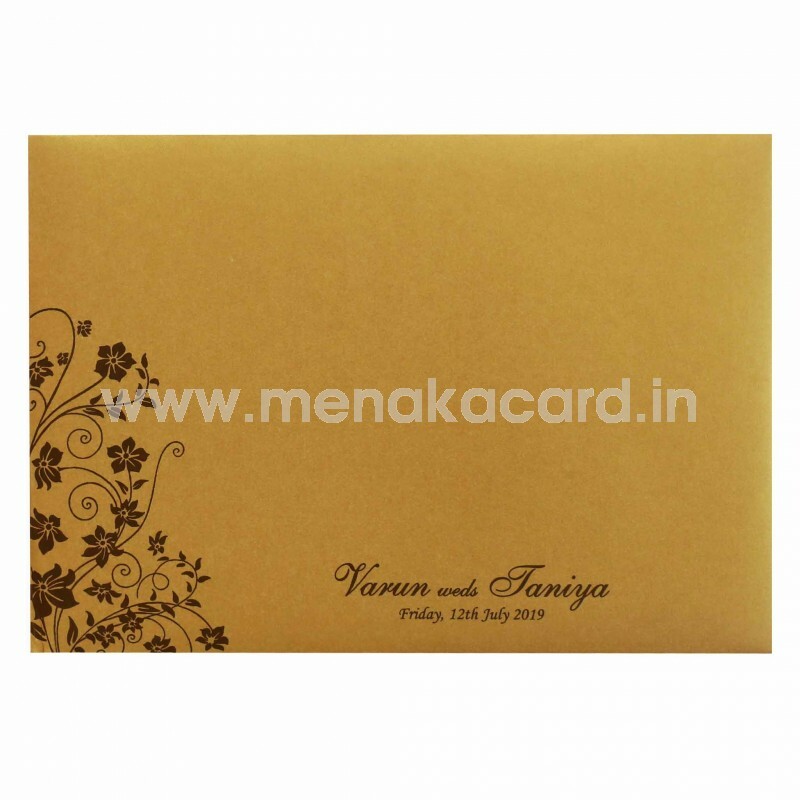 The pouch contains the transparent sheet beneath the front, with the names of the couples, customizable as needed and has a default of two off-white inserts for the content with contrasting ink as required. 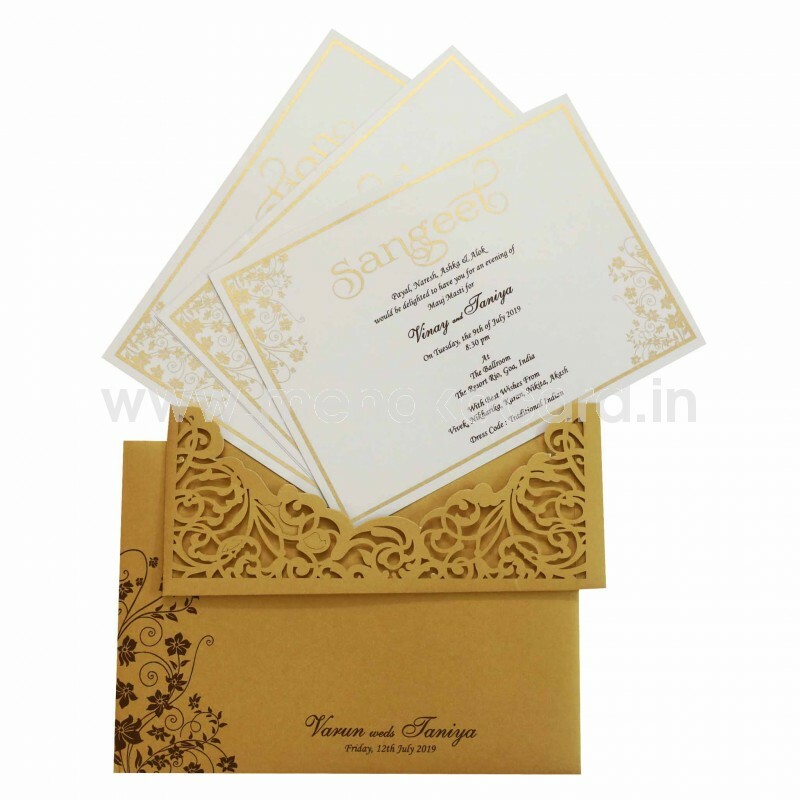 The matching envelope reflects the floral pattern as an embossed design. 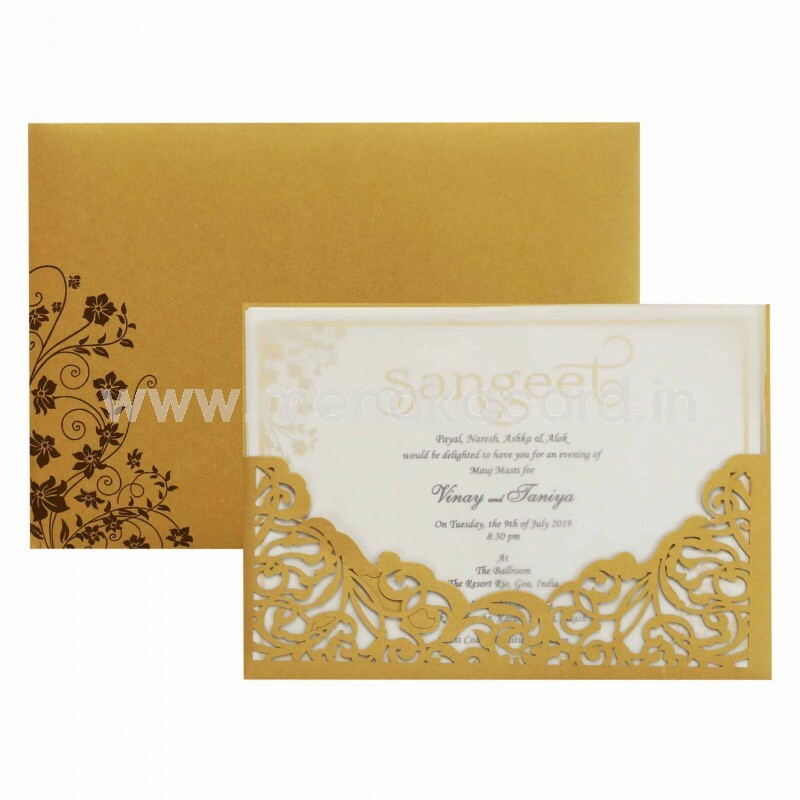 This can be used as both a formal and a personal invitation.